So, over the next five days, I am going to post the rest of the ten things that drove me crazy about Game of Thrones Season 6. I fully realize that I am in the minority on this but I am okay with people disagreeing with me. I also don't usually write because of ego or certainty that I am right. I did love several things about Season 6 as well. Why Would Anyone Want To Be A Three-Eyed Crow? It was really exciting to see the return of Uncle Benjen Stark (Joseph Mawle) saving his nephew Bran Stark (Isaac Hempstead Wright) and his companion Meera Reed (Ellie Kendrick) from the White Walkers in the aftermath of the demise of Hodor. Benjen, who was the head of the Ranger's of the Night's Watch, famously disappears in season 1 never to be heard from again until now (in fact, many members of the watch die in an attempt to find him later in the show). So, nice to know he is still kind of alive as a walker, but a walker for good? How this works is not entirely explained (Coldhands not really explained either). 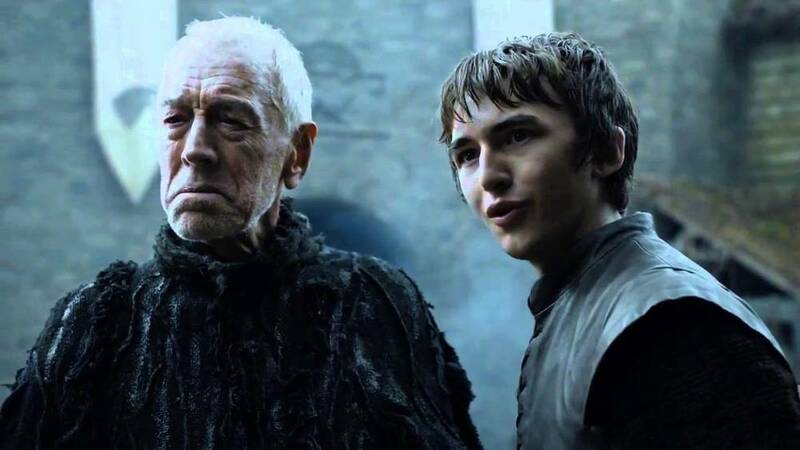 Benjen tells Bran that he needs to learn all of the powers of the Three Eyed Crow (Max Von Sydow) quickly so that he can stop the Night King. Pretty sure we just saw the Three Eyed Crow get absolutely massacred by the Night King only a few episodes ago. To be honest, the Three-Eyed Crow seemed to be one of the worst teachers and guides maybe of all-time. In almost every instance, he took Bran on missions that never ended up the way he intended. In the end, he didn’t seem to have any tools that could help him defeat the Night King. He didn’t even have defenses set up against the Walkers. If we are 100% honest, he didn’t effectively explain the dangers of Bran’s solo adventuring which drew the Night King to his tree and got all the Children of the Forest massacred. Why did this happen? Because, Benioff and Weiss were using the Three Eyed Crow as purely exposition for the audience (a way for the audience to learn about Jon’s history) and didn’t want to reveal anything that might let the audience see how Bran would eventually beat the Night King (or assist in the beating of the Night King). I think that Benioff and Weiss wrote themselves into a corner here. Obviously, Bran will learn something that helps Jon and the forces of the North against the walkers. Just as obviously, either the Three-Eyed Crow, after decades of “crowing” did not know whatever the information was or did not use it to save himself and the Children of the Forest. Luckily, Bran has more power than a Three Eyed Crow (he is not just a green seer he is also a Warg). Whatever the resolution, Benjen was wrong, Bran had better become more powerful than just a Three Eyed Crow. What do you think about the Three-Eyed Crow in Season 6? Let me know, leave a comment!